There are no active watches, warnings or advisories for zone OHC045. Thermometer indicates min/max since 12:00 AM ET. 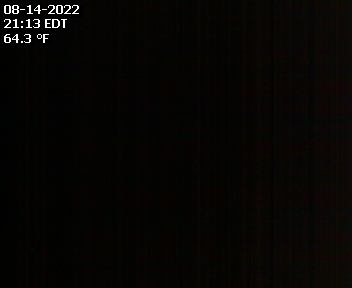 Current Rain Rate 0.000/Hr Storm Total 0.00 in. Hourly Rain 0.00 in 24 Hour Rain 0.01 in. Today will have 13:22 hours of daylight. Monthly High 30.437 in. Low 29.216 in. Yearly High 30.903 in . Low 29.216 in. Station Console Forecast: mostly cloudy and cooler, precipitation possible within 12 hours, possibly heavy at times, windy. NEXRAD radar KILN status not found. Conditions at Fairfield County Airport, Lancaster, Ohio, U.S.A.
Mostly cloudy, with a high near 79. Breezy, with a south wind 10 to 20 mph, with gusts as high as 33 mph. A chance of showers, mainly after 2am. Cloudy, with a low around 62. South wind 6 to 9 mph. Chance of precipitation is 40%. New precipitation amounts of less than a tenth of an inch possible. Showers likely, with thunderstorms also possible after 2pm. Cloudy, with a high near 65. Southeast wind 8 to 13 mph becoming west in the afternoon. Chance of precipitation is 60%. New rainfall amounts between a tenth and quarter of an inch, except higher amounts possible in thunderstorms. Showers likely. Cloudy, with a low around 42. North wind 10 to 13 mph. Chance of precipitation is 70%. New precipitation amounts between a quarter and half of an inch possible. Showers. High near 50. West wind 8 to 10 mph. Chance of precipitation is 80%. New precipitation amounts between a quarter and half of an inch possible. Showers likely, mainly before 9pm. Cloudy, with a low around 40. Chance of precipitation is 60%. New precipitation amounts of less than a tenth of an inch possible. Mostly cloudy, with a high near 65. Mostly cloudy, with a low around 47. Partly sunny, with a high near 74. A chance of showers between 8pm and midnight. Mostly cloudy, with a low around 50. Chance of precipitation is 30%. A chance of showers and thunderstorms. Mostly cloudy, with a high near 71. Chance of precipitation is 30%. A chance of showers and thunderstorms. Mostly cloudy, with a low around 52. Chance of precipitation is 30%. A chance of thunderstorms. Partly sunny, with a high near 72. Chance of precipitation is 30%. Forecast from NOAA-NWS for Lancaster OH. Animated forecast icons courtesy of www.meteotreviglio.com. 1) This is a privately owned and operated home weather station. We are not affiliated with any business or governmental entity. 2) The weather station and this website are maintained as a personal hobby with the hope of providing useful information to fellow residents of Lancaster, Ohio USA. 3) We can accept no legal liability for the accuracy of the contents of this page and it's associated pages and links. Please check with NOAA Weather Radio (162.55 MHz) or your local TV / Radio station for the latest weather information. 4) Please do not rely on this page or other online sources as your only means to hear NOAA radio. Due to internet streaming there could be a minute or more delay in this broadcast compared to listening on a weather radio. When you need it most our system could be down or you might be unable to receive it due to storms, power outages, loss of internet connectivity, etc. It's best to have your own NOAA radio. They can be found at local retail stores or online stores such as Ambient Weather or Radio Shack. The cost is modest considering it could save your family's life! 5) Reproduction of this page or any of it's contents or associated pages (including hot linking to images) without the express written permission of the author is strictly forbidden!